The VISION Spatial team are contributing to the Mangahawea Bay Partnership project. A project to explore Polynesian voyaging and share the discoveries with the New Zealalnd people. The Archaeological project will further investigate a known Archaeological site at Mangahawea Bay, Moturua Island. The site is a rare and early settlement site and it is hoped that the results from the investigation will provide valuable information about how people first settled in Aotearoa New Zealand. The project is a partnership involving The University of Otago, Department of Conservation, Heritage New Zealand and tangata whenua (Patu Keha and Ngati kuta). VISION will be helping Heritage NZ and DOC archaeologists and researchers on this exciting and culturally significant project with data management, analysis, visualization and dissemination. The datasets range from historic maps from the 1700’s to newly collected LiDAR. “The online ‘story mapping’ approach has been called ground-breaking by planners “. 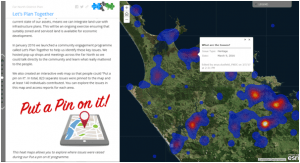 The interactive web mapping application which drove the Far North District Planning Teams “Put a Pin on it”campaign was created by Anya Duxfield. 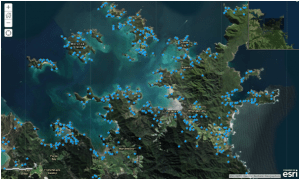 Anya then worked with the Council’s kaumātua to produce a Tangata whenua interactive web map in both te reo and English to encourage iwi and hapu to identify sites and features of significance to them. Anya Duxfield continued to work with the District Planning team to assist them in actively engaging and communicating with the community by developing the “Let’s plan together” Storymap. The Story map combined interactive maps with text, timelines and web links. This was created by Anya using ArcGIS Online technology and web mapping applications. 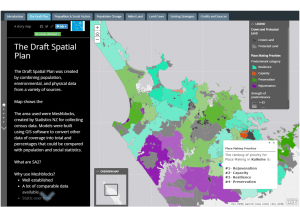 VISION’s analyst, Logan, presented his work on spatial planning at the 2018 Regional ESRI Users Conference in Kerikeri. The presentation first reviewed the methods he used to group sub-areas and extract land cover data using ArcGIS model builder. He then showed the process for normalizing disparate data types and limiting outliers for area comparisons. 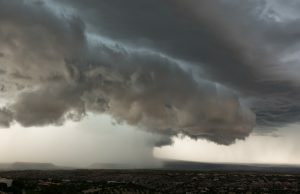 The final part covered how he used ESRI’s new Arcade language to build formulas for trouble shooting weighting and classifying sub-areas by their strategic intervention rankings. The work was voted “best presentation” at the conference. A violent reaction of a sample material to field oxidation test – indicative of the possible presence of acid sulphate soils. VISION was engaged to carry out a combined contaminated land, geotechnical, flooding hazard and acid sulphate soils assessment of a privately owned property. This project is a great example of VISION utilising multidisciplinary skills and working efficiently as a team to ensure maximum cost savings for the client. The contaminated land investigations centred around the historic horticultural activities and identified persistent pesticide hotspots where agrichemicals used to be stored, mixed and applied to land. A Remedial Action Plan was prepared to be included as part of the subdivision resource consent application. 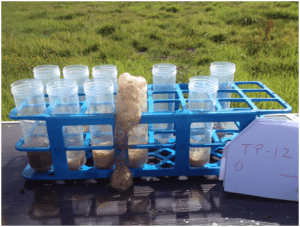 The Acid Sulphates Soil portion of the project identified aggressive soils at depth and this information was used during the design of buried infrastructure to ensure that potential future impacts (e.g. corrosion) are prevented. Photograph showing layers of contaminated fill underlying the site. 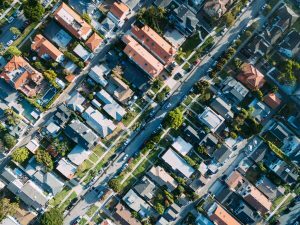 VISION was employed to carry out a contaminated land assessment of a privately owned property in Kaitaia as part of a pre-purchase due diligence process. The project started with a Preliminary Site Investigation (PSI) which identified potentially contaminating activities at the site including waste disposal (including asbestos), timber treatment, waste incineration and scrap yard activities. 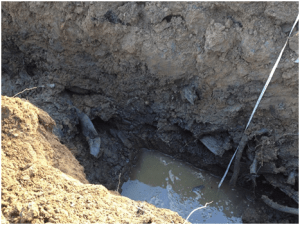 A Detailed Site Investigation (DSI) was subsequently undertaken, involving testing of various media: soil, surface water and groundwater. As part of the project we provided practical advice to our client regarding future consenting requirements and contaminated soil management options. This advice ultimately resulted in large scale cost savings for the client. A problem our analyst team regularly faces is estimating the population of areas that do not conform to Statistics NZ census boundaries. Creating a realistic estimation of population is critical for projects dealing with civil defence, service areas, and infrastructure. To refine the estimations, the team uses spatial Apportionment Modelling methods with census population and LINZ property data to create small area point data. The results are weighted by other land cover information like District Plan zones and checked applying techniques like Newcom-Benford’s Law. The model can also be applied to population projection data to estimate future impacts. VISION recently conducted research into identifying areas sensitive to subdivision in the Far North District. This was accomplished by performing raster analysis with Machine Learning software utilizing Artificial Neural Network techniques. The process incorporated subdivision from 2002 to 2018 with a variety of explanatory indicators including distance from roads, population density, land cover, public and conservation land, slope, elevation, and distance form townships. 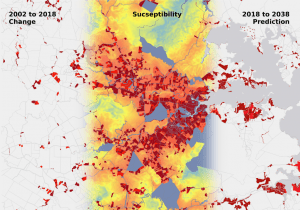 The results include a “soft” map showing subdivision susceptibility, and a “hard” map showing likely places of subdivision by 2038. The Local Government Act 2002 requires that all Councils prepare and adopt an infrastructure strategy. 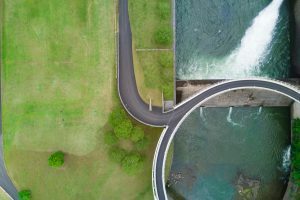 Broadly, the purpose of an infrastructure strategy is to identify a long term strategic approach to infrastructure management, taking into account the significant infrastructure issues likely to be encountered over a timeframe of 30 years or more. In 2017, VISION’s planning and strategy specialists were engaged to work with a council to support the development of its 2018-2048 Infrastructure Strategy. Through our extensive research and geospatial analysis skill set, coupled with our comprehensive knowledge of local government infrastructure and asset management, we were able to support the Council to develop an evidence based strategic decision making tool for its significant infrastructure decisions. Our team of senior resource management planners have worked on a wide variety of consenting projects, both on behalf of the consent authority and the applicant. 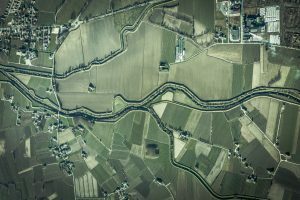 Recent project examples include processing the regional consent applications for the country’s largest poultry farm and preparing resource consent applications for a $15m flood control scheme upgrade in the Awanui catchment, Kaitaia. 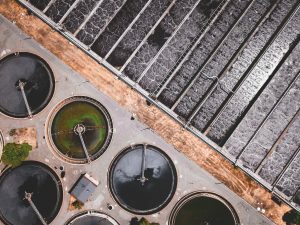 In addition to these recent examples, we have extensive resource management planning experience covering coastal activities (including aquaculture and coastal erosion protection), major water takes and urban development activities. VISION were awarded a contract with the Whangarei District Council to investigate and report on the re- development of a former market garden into a multi-sports field complex at Kamo. Specifically the investigation and reporting were focused on the ability to re-use the topsoil at the site on the new sports fields. 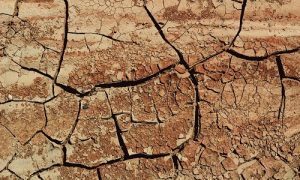 The investigation covered a total area of forty-seven thousand square meters reporting on potential contaminants within the topsoil. All work was carried out in accordance with the Contaminated Land Management Guidelines No. 1 & No. 5. VISION completed a hydraulic analysis and assisted an associate in the stability assessment of two medium risk dams. Near ultimate development of a rural area was proposed discharging to three previously constructed dams in series. The council proposed to stop development as the dams capability to covey the increased flows and the stability of the dams came into question. A successful outcome was reached and the development was allowed to proceed. VISION has recently overseen the completion of a sixteen lot subdivision within the catchment of one of Northlands most sensitive receiving water bodies. Orongo Bay, Bay of Islands. Low-impact & environmentally sensitive design, careful planning, and construction monitoring have allowed the developer to achieve the desired outcome while also protecting the environment. VISION has spearheaded a working group regarding on-site wastewater management in the Far North. The multidisciplinary working group advised the District Council on items ranging from planning and engineering standards to community awareness programs. The hard work has resulted in new engineering standards for the Far North District. 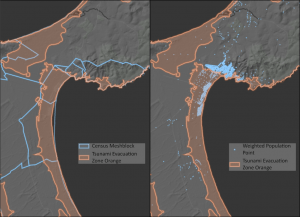 VISION aided the Earthquake Commission (EQC) to assess imminent threats to properties from land subsidence and inundation following the back to back flood events of 2007. These flood events equated to a 150 year flood in March followed by a 100 year flood event in July. As well as aiding the EQC Vision over saw emergency works across Northland to stabilise slopes. VISION aided the Earthquake Commission (EQC) after an earthquake registering 6.8 on the Richter scale struck Gisborne on 20 December 2007. Vision assessed imminent threats to properties from structural damage to chimneys to speed recovery to allow homes to be refurbished before winter arrived. VISION has been selected to provide stormwater management options for a rural-urban catchment within Ahipara. 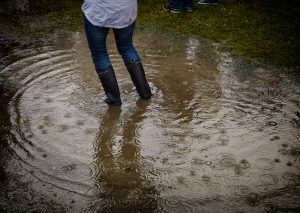 The catchment experienced significant flooding and in-fill development has exacerbated the issue.